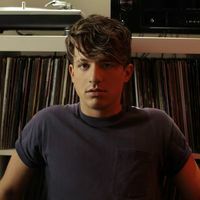 Writer: Charlie Puth - Robin Wiley - Tobias Jesso Jr.
2018 Artist Partner Group, Inc. for the United States and WEA International Inc. for the world outside of the United States. A Warner Music Group Company. 2016 Artist Partners for the United States and WEA International Inc. for the world outside of the United States. A Warner Music Group Company. 2018 Artist Partner Group, Inc.